Scholz Electrical are Master Electricians. Our electrical company has been serving Brisbane and the surrounding areas for over 40 years. We’re more than just electricians, we’re problem solvers and solution finders! If we’ve not worked together before, we’ve tried to make our site simple for you to navigate. Scroll below to learn more about our electrical company, how we can help you, and what other customers have said about our work. Contact us now for more information. We’ll look after you. Need an electrician you can trust? Scholz Electrical are Master Electricians. We are experienced in domestic, commercial and industrial electrical work. This includes all electrical installations (powerpoints, fans, switchboard upgrades, re-wiring, smoke alarms) as well as renovation projects, repairs and service, emergency breakdowns, football field lighting, air-conditioner installations and rooftop solar. So whether you’re looking to renovate your home, fit-out your offices, or eliminate your electricity bill with solar – we’ll look after you. Our office staff have been working in the electrical industry for a long time. They will be able to answer your questions and advise on the best course of action – without any confusing electrical jargon! If you have a specific electrical question you want answered, one of our Master Electricians will be able to help. Our company is experienced in all domestic, commercial and industrial electrical work. Booking a job is hassle-free – our staff can schedule your job at a time that suits you or you are welcome to make an appointment time at our office if you are seeking advice on your upcoming electrical job. Sometimes it is necessary to source parts inter-state or internationally to complete your job. In these cases we’ll keep you updated on progress. Scholz Electrical are accredited Master Electricians, Committed to providing extraordinary customer service. We’ll Look After You. some of our previous jobs and to learn more about the services we offer. Our Brisbane electricians are qualified to work on projects within your office or workplace. Read about our commercial services or request a quote. Need data or power sorted for your office? We can take away the hassle and get you up and running again. We can advise on rooftop solar and energy efficient lighting options to reduce your business’s power bill. We understand the importance of minimising downtime within your factory or warehouse. Read more about the projects our electricians have delivered within warehousing and industrial settings. We are experienced in large-scale factory fit-outs. Want to meet face-to-face to discuss your electrical needs in your factory or warehouse? We are happy to visit you on-site. Need a Brisbane electrician to visit your home? Learn about our domestic services, safety advice, and how we can help reduce your electricity consumption. Booking a job is hassle-free – our staff can schedule your electrical job at a time that suits you. 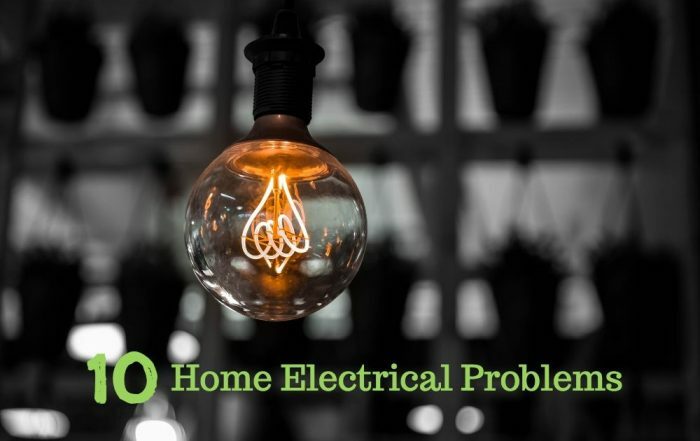 Got a home electrical project in mind, but not sure what is involved? We are happy to visit your home and provide a quote and advice. Our Brisbane air-conditioning division – Scholz Air – is your one-stop air-conditioning service. We can source, supply and install your air-con unit and because we are qualified electricians we can take care of any extra cabling or switchboard modifications that may be required. Our Brisbane electricians are experienced in a wide range of electrical scenarios so can help with anything from a new powerpoint or fan through to a full renovation of office fit-out. We are experts in rooftop solar. Let our solar division – Scholz Solar – take the hassle out of sourcing and installing your solar system. We can also guide you through the government rebate process. There are very few electrical faults our Brisbane electricians haven’t seen before. We will work hard to get you up and running again. Is your data or telecommunications sending you batty? We will untangle the mess and get you back on track. Know you need to do something about your rising power bills but don’t know where to start? We can assess your power usage and offer a range of tailored solutions to get you using less and saving more. We are a safe and experienced electrical company. Read about some of our recent projects here. We have a large and loyal customer base. You can read some of our client reviews below. I just wanted to say a quick thanks for all your work designing and installing our new system here in Morningside. Your flexibility with working dates around my schedule was much appreciated and your help with the hardware problems we had was excellent. Also, I’d like to say a special thanks to Nick, Jamie and Eli who worked quickly and efficiently and were polite and considerate to me and my family. Claire was delightful to speak to over the phone and was always prompt in returning my calls or passing on any messages. Michael, you have a great team. Hi Michael, I just wanted to thank you and the boys for the works last week. The boys did a tremendous job leading up to and during the gaming move and everything was completed promptly. Thank you for adjusting the boys bookings to accommodate the last minute works on the Tuesday morning as this was greatly appreciated. It was a pleasure having them onsite as they are always professional when they are here. A big thank you to Nick and Jamie from Scholz for all their work in changing the lights in our living and dining rooms over to downlights. We can’t believe what a huge difference it makes to the look and feel of the house. Such an improvement! We were really impressed with how particular the boys were, particularly in the positioning of the lights. We’re looking forward to the same result in the bedrooms as well! Thanks again. We have been clients of your company since moving from Tasmania in 1981, and have been well satisfied with your service including promptness, courtesy and efficiency. Last night after 9pm I had need to call your office/workshop, due to a complete power loss caused by a shut down on the clipsal safety residual current device. Nothing was too much trouble for your technician in attempting to guide me through a series of checks and counter balances in an effort to locate the offending appliance. The culprit was eventually isolated to a cordless Sunbeam 2 litre express plus, which was leaking water into the on/off switch. We pay for service and should expect it, but it is extremely rare in finding after hours service today not by an answering or paging service, but a polite knowledgeable person who helped me find the solution to the existing problem at 10pm. I would appreciate if you would convey my heartfelt thanks to your technician , and by me doing so in writing, assist you to evaluate individual performances within your company, and the public perception of the value added service on offer. Good Morning Claire, please tell Michael that we were more than impressed with the quality of service and the way the boys worked together with the manner in which they conducted themselves while doing this job for us. It is indeed a pleasure to be able to deal with reliable, hardworking and well mannered trades people. These guys always do a great job, they know their stuff, they are friendly and you don’t pay through the nose, I can highly recommend.